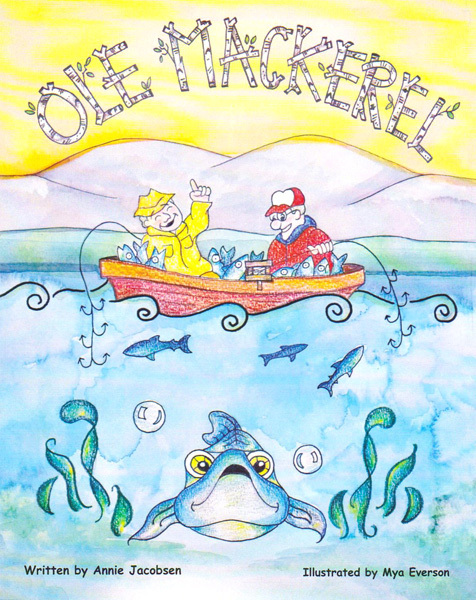 Come with Ivar as he faces a fierce Forest Troll, a pair of lake dwelling Water Trolls, a fiddle playing Fossegrimmen and finally a three headed Mountain Troll all in order to return the little lost Mountain Troll Kitten to its rightful owner. In the end, the kindness he shows to all he meets along the way is rewarded with kindness in return. In “Ivar, The Short But Brave Viking”, children’s author Annie Jacobsen teams up with illustrator Susan Jo Hanson to create a lively and entertaining picturebook story about a Viking named Ivar who is simply too short to be a warrior like most other Viking men. Ivar does not lacks courage despite his small stature because he sets off on a perilous journey of adventure from Ardal to the home of the fierce Mountain Trolls to return a little lost Mountain Troll Kitten before the trolls destroy everything in their path when they decide to come looking for it. 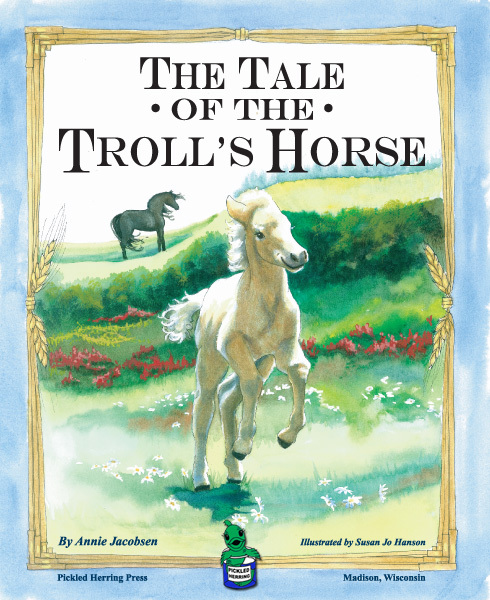 Along the way Ivar must deal with a Forest Troll, two Noekkens (water trolls), a fiddle playing Fossegrimmen, and the three-headed Mountain Troll who is the kitten’s owner. Fortunately, Ivar has a little blue book that tells him just what he needs to do to get past these various creatures and it is his kindness along the way to those he meets that is rewarded by their kindness to him in return. 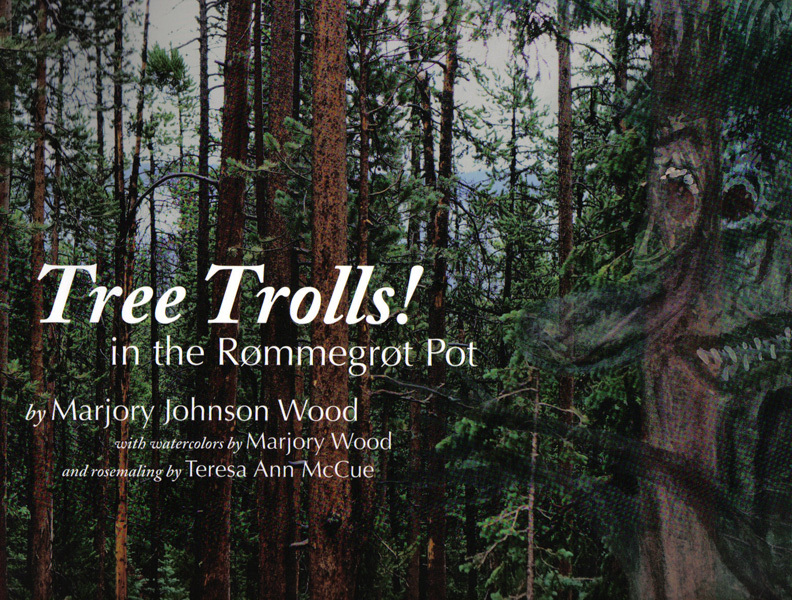 There are some extra special features setting this picturebook above most others in that it also includes a map of Scandinavia with the settlements and cities located; a list of ‘Survival Tips’ when dealing with trolls; a glossary of special words used in the text; an Runes alphabet; a bibliography of ‘Child Friendly Troll Stories’, and a hand-drawn map of Ivar’s trip. 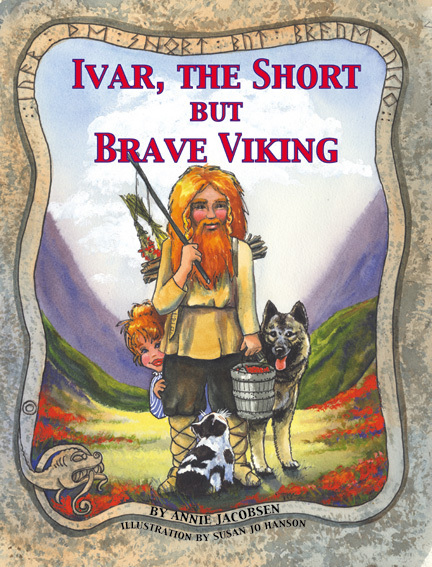 An original, entertaining, and thoroughly ‘kid friendly’ Scandinavian folktale, “Ivar, The Short But Brave Viking” will prove to be a delightful and popular addition to any family, elementary school, or community library picturebook collection for young readers. 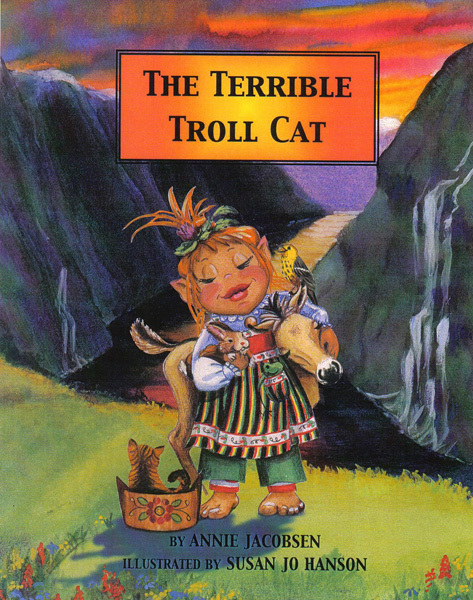 Also very highly recommended is Annie Jacobsen and Susan Jo Hanson’s previous picturebook collaboration, “Terrible Troll Cat”, which is also published by Pickled Herring Press.